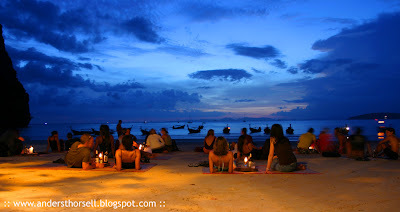 Railay Beach is a small peninsula located between the city of Krabi and Ao Nang. Accessible only by boat due to the high limestone cliffs cutting off mainland access. These cliffs attract rock climbers from all over the world, but the area is also popular due to its beautiful beaches and quiet relaxing atmosphere.